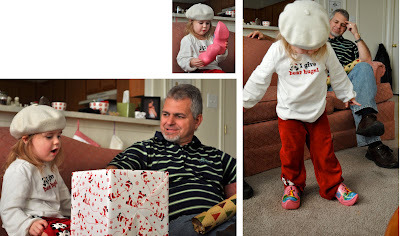 The start of our Christmas festivities began with a present exchange with Gigi and Pops. Ordinarily this would be done on Christmas eve but if you remember a little post from a while back about my little problem we opted to exchange presents early so we didn't have to take that large box to and from Baton Rouge. Micah couldn't wait to open presents! 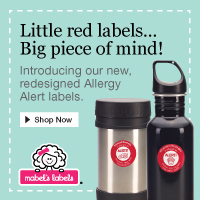 The bright colors, bows and ribbons were just too much for a baby to resist! Abby surprisingly took a little while to warm up to opening presents but she sure didn't hesitate to try anything on once it was opened! 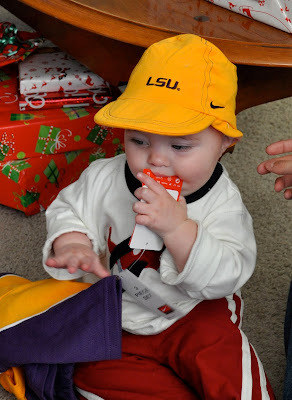 Micah can finally be a true Tiger fan with his very own LSU outfit! And finally last but not least the mystery big box was brought downstairs. What could it be? A doll house from Gigi and Pops!